I have this bad habit of experimenting with new recipes and testing them on unsuspecting people. I’m not saying I toss unsavory foods at these random victims (er um test subjects) and cackle evil-ly to myself. Sometimes I just don’t tell them things that they don’t need to know. Hey, it’s for their own good. Like one time I made a chocolate beet cake and took it to work and didn’t tell anyone there were beets in it until they ate it and loved it. Then I told a select few. Let’s talk about a time where this tactic failed. At the end of the semester for my Many Meanings of Meat class in my Gastronomy program (yes it was a class where we talked about meat all the time and yes I went to grad school and studied food), our class had a potluck to celebrate. We were each asked to bring in a dish that signified something we had learned that semester and explain it to everyone. After racking my brain for a recipe that would be delicious, impressive (I mean c’mon I’m cooking for a bunch of food-obsessed grad students), and significant, I decided to make a chocolate pie with silken tofu that I think is delicious. It is smooth, it is chocolate-y, it is rich, AND it has a graham cracker crust. It is a favorite in my family and something I thought would be well-loved by my fellow Gastronomy students. I explained my dish by saying something about how things weren’t always what they seemed in the meat industry (such as your awareness, or lack thereof, of the sanitation horror stories in slaughter houses). This delicious dessert is not what it seems. You can think of it like a chocolate cream pie, I said. Although there’s no cream in it. Needless to say my attempt at mystery left the pie virtually untouched for the majority of the afternoon. A few people stealthily asked me what exactly was in that questionable pie, and by the end of the night only a few small slivers were missing. One guy who did taste it told me how much he liked it and expressed his surprise when he found out the main ingredient. Sometimes it’s better just to not say anything and let people enjoy something. Ignorance is bliss. So maybe you want to make something unusual for someone you like and not tell them what it contains, like this pudding recipe I recently tried. It is surprisingly delicious (like the chocolate tofu pie) and made with healthy fats! Hoorah! Huzzah! Now I can eat all the chocolate pudding I want and never get fat because it’s healthy fat so it doesn’t really count. Ok, that’s not exactly true, but you can still celebrate if you’re a) vegan b) trying to cut out unhealthy fats and c) if you just love chocolate a lot too much. A lot too much? Yep, that’s what I said. And maybe just don’t tell your friends what’s in it. Place all ingredients in a food processor (if you have one) and blend until smooth. If you don’t have a food processor or you’re lazy, mash the avocado well with a fork. Stir in other ingredients. Refrigerate until cold and thick. Enjoy with a friend. Or make a bigger batch. Ok Pinterest, I do like you. A lot. I’m kind of obsessed with you to be honest, considering I spend a good chunk of time every day scouring your pages for Pinspiration, admiring your giant collection of “best ever, ridiculously easy, and delicious” recipes for creamy chicken, chocolate cake, and cheesy chip dip. I have found some worthwhile recipes thanks to you, and home decorating tips, and dresses that I’ll never buy, but I have to say you’re kind of a bad friend. You spend half your time trying to convince me to make ooey-gooey Oreo peanut-butter brownie sundae cakes and the other half telling me the fifteen best ab workouts I need to do to get a flat belly because you know that I ate more of the peanut-butter Oreo cake than I was supposed to. You show me pictures of sports bra-clad athletes, tanned and toned, to inspire me to work harder at perfecting my body. You mix in some recipes for “skinny enchiladas” and “skinny mac n’ cheese” with photos of giant slabs of New York cheesecake and red velvet cupcakes. You show me outfits to “color me happy and skinny,” so I know that the two must go hand in hand. You caption every heavy, cheesy, beefy dish with “your husband won’t let you make anything else ever again.” Stop, please. I don’t cook only to please the man in my life. I have to admit, Pinterest, you are letting me down. You’re leading me on with these attention-grabbing one-liners (are these written by the same people who write the ads on the side of websites, like, “5 foods to never eat for a flat belly”?) and you’re talking at me like I’m just another person in the crowd that will get swept up in the masses and believe whatever I’m told. I feel lost and consumed in the Internet jumble, losing hours of my day constantly scrolling down in search of the next snapshot of visual gratification, so that when I finally escape your hold, Pinterest, I feel hungry, fat, and confused. Should I go make that cake or do “15 best ab workouts without crunches”? Alright, I’ve gone a little bit overboard I’ll admit, blaming you for my inability to separate the good from the ugly. I should have the strength to pry myself away when my eyes are glued to the screen and I should have the confidence to ignore those eat-yourself-skinny pins that wallpaper my homepage. I’m a grown up, most days. The only way I know to combat your manipulation is honesty. I will make that recipe and tell the Internet audience how absolutely delicious it wasn’t (if of course it actually wasn’t) and I will tell you that losing 7 pounds in 3 days is not physically healthy. I won’t abandon you yet, Pinterest, but I don’t know how much I can rely on you anymore. 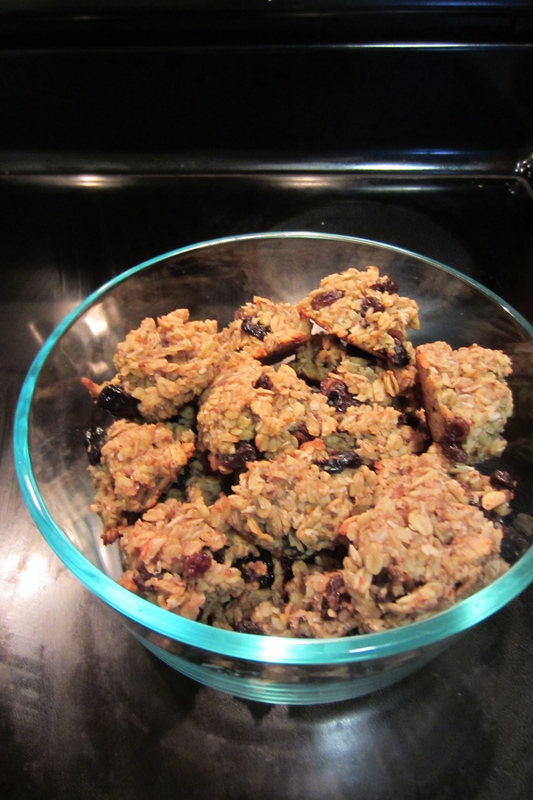 In that state of mind, here’s a recipe I found on Pinterest for no-sugar, vegan, can be made gluten free “cookies.” After I made them, I was informed by the man in my life that they aren’t cookies, but I didn’t make them to please him and I didn’t make them to “eat myself skinny” just because they’re gluten free and so therefore they must be healthy (calm down, Erin. Deep breaths). I made them out of my own curiosity and interest so there. Make them if you want, or don’t. Preheat oven to 350. In a large bowl combine bananas, oil, and vanilla. In another small bowl combine all dry ingredients. Add to banana mixture and stir in. Add dried fruit. The dough won’t hold together super well, but don’t worry about it. Drop the dough onto parchment lined cookie sheets an inch apart (they don’t spread at all) and bake for about 15 minutes until lightly browned on the bottoms and somewhat firmer. My batch made about 2 dozen, but it just depends how big you make them. Hibernation. It’s winter. Duh. (It’s especially winter today in Boston. 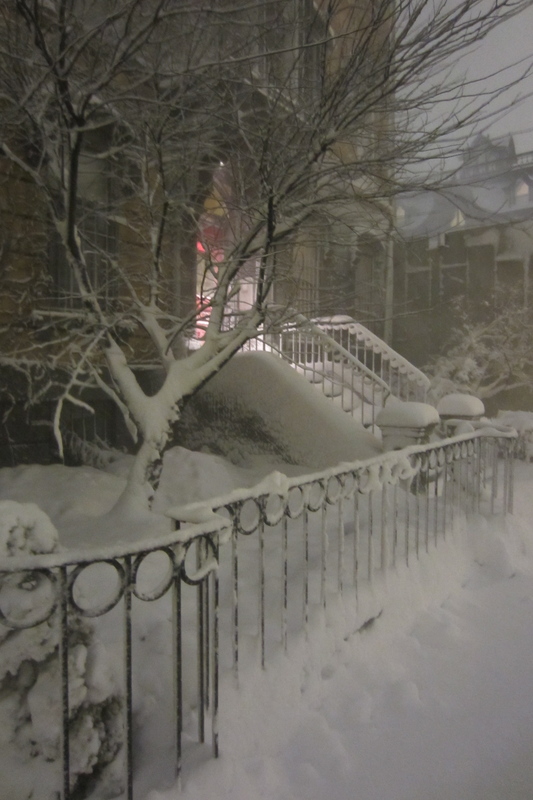 If you haven’t been paying attention for the past few days, turn on your internet, TV, radio, or whatever and see the crazy amount of snow that landed on the East Coast.) I am not a bear nor do I know any bears (I guess other animals probably hibernate, but for some reason the word hibernate makes me think of bears…hmm), BUT this is definitely the time to hibernate – i.e. stay inside, eat lots of heavy food, and fatten up (like a bear? Is that the connection?) Am I right? Yep. Because everyone and their brother in Boston has posted on facebook about all of the delicious food they made or are making during all of this blizzard-y goodness. So naturally I want to bake and cook too. A few days ago, admittedly before the storm, I made delicious ginger sugar cookies with browned-butter frosting and candied ginger. In my mind I’d like to think it’s a recipe I invented, inspired by a certain ginger scone I used to enjoy from a Dayton bakery. Now before you picture a darkened gingerbread or gingersnap type cookie, let me explain. The goal was a purely ginger, ginger cookie, unadulterated by the rich darkness of molasses that is often paired with ginger. I began with my favorite sugar cookie recipe and added a touch of brown sugar (yeah yeah it does have molasses in it), ground ginger, and candied ginger. I baked them up soft and round and buttery with little bites of candied ginger cleverly encased and frosted them with a browned butter frosting, in which the butter had only just barely started to emit a nutty aroma, but before the color really changed drastically. 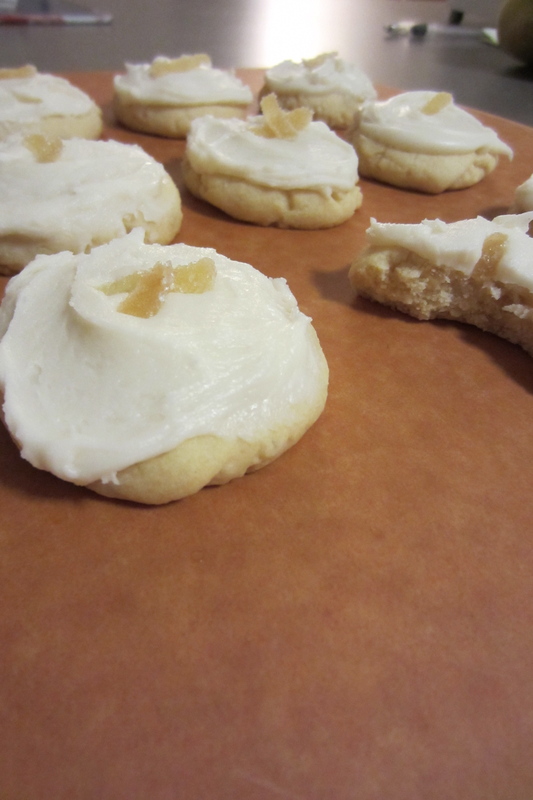 This way I maintained the pure white and lemon-yellow ginger-sugar-cookie look I was going for. Let me just say MAJOR WIN. These cookies were exactly what I had dreamed of, and 10 cookies (a half batch) disappeared very quickly between the two of us. Don’t you want to make them right now??? 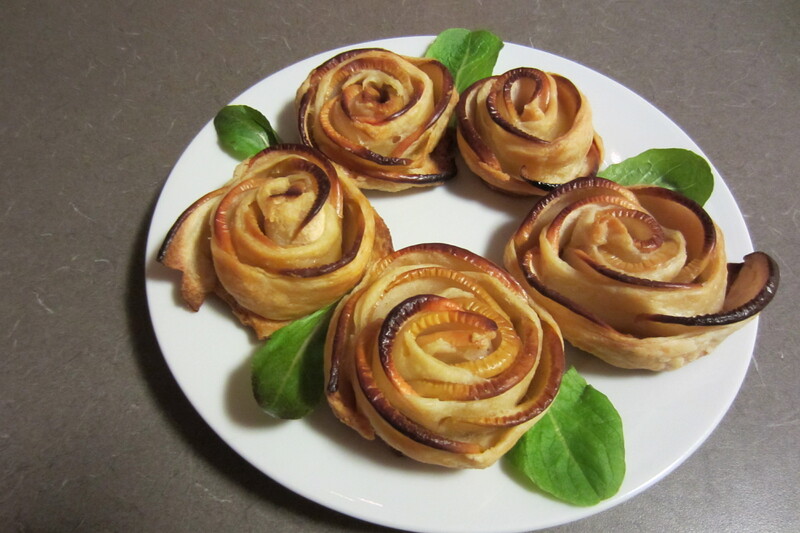 In other news yesterday I made failed baked apple donuts. 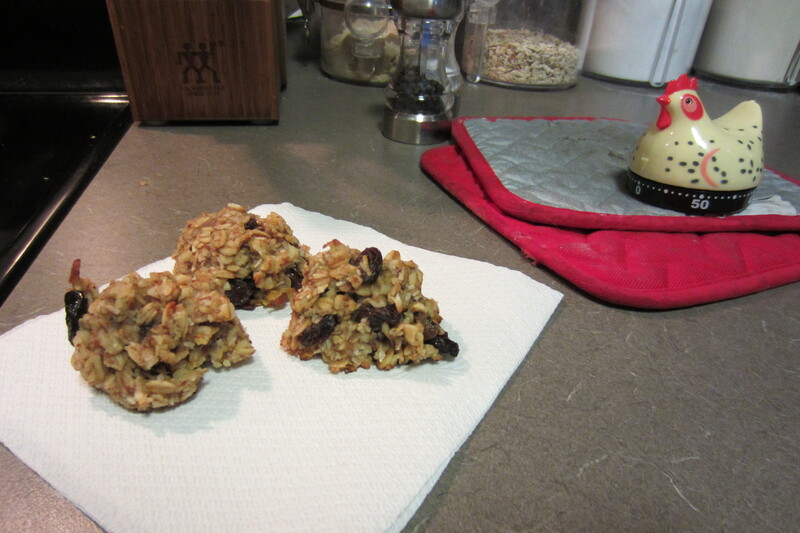 Here’s the quick run down: yeasted apple-studded dough, plopped into unattractive mounds and baked. They rose slightly, but maintained their pasty yellow dough complexion on the top and reminded me too much of sweetened bread, rather than a donut. Note to self – don’t bake yeast donuts. They probably fry much better. Well you win some, you lose some. Now go bake something tasty! Also don’t make excuses that you can’t do anything other than laze around and watch Downton Abbey. Gah, I’m just trying to tell this to myself. Stop being a food snob. STOP. Well, sometimes it’s okay, but right now let’s not define sometimes. Case in point: sometimes you are wrong. Over winter break, I went back to Ohio to see my family and while there it snowed fairly heavily the day after Christmas. We decided to venture out into the world to get some lunch. After looking at two different menus online we decided on Café Bella since it looked like they had more options. When we got there, and it was closed we went with plan B, the Wildflower Café, which seemed to have fewer options and therefore we were less interested. Boy, were we wrong! 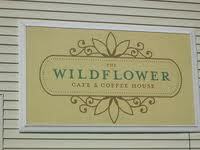 The Wildflower Café is a restaurant gem of Mason, Ohio. They use local food (from Ohio) where possible, they have a crazy good beer selection, and they do it all out of an old yellow house! Downstairs they have a map with pinpoints of all the different farms and local businesses that provide them with goodies to make their menu. We started out with truffled mushroom fonduta – a melted cheese and mushroom combination with a hint of truffle oil paired with unique fennel and sesame seed-encrusted bread from Blue Oven bakery. Crusty bread and melty, gooey cheese were all it took to seduce us. Next Caitlin and I shared their house salad of spring greens, shredded carrots, delicious croutons (made from same said bread above), blue cheese, nuts, and dried cranberries. Equally memorable and delicious. (Yes it was just lunch but we decided to have appetizers and salads. My sister and I shared our entrée). 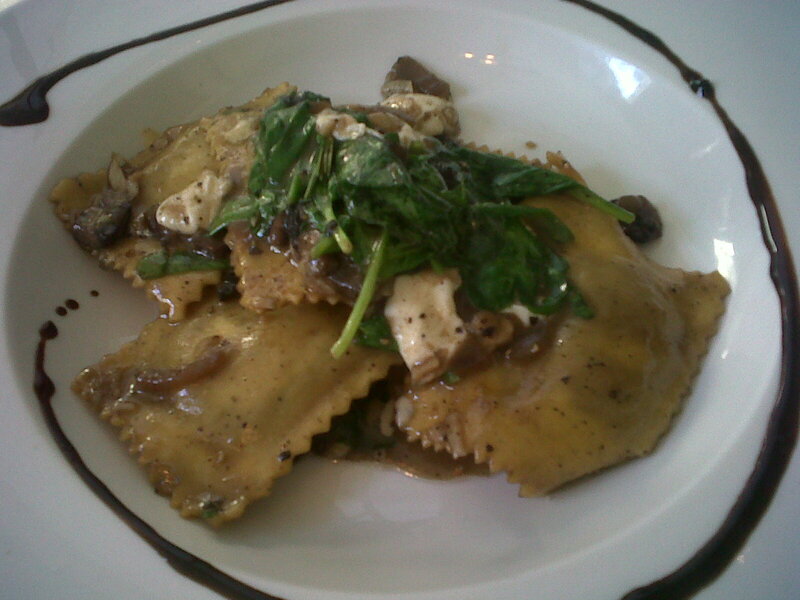 For our main course, we ordered the day’s pasta special: butternut squash ravioli with roasted apples, some sort of tasty sauce, and goat cheese. We listened to the dessert listings, but opted to go home and make our own, though we did share a few sips of a bittersweet Crème Brulee beer. Moral of the story: I thought good restaurants seeking local food only existed in big cities like Boston or NYC. Mason, Ohio did not strike me as the type of place to attempt this kind of culinary feat. But who am I kidding? It is outside the cities where most food is grown and who is likely to cook that food, but the people who grow it or live near it. I confess that I know very little about growing food (despite my various attempts at feigning interest) and that I overlooked the fact that people who grow food were probably the first to be creative in cooking it. So I was wrong to be a food snob about Ohio. Need to work on keeping on open mind.